Prior to Valmo Ventures, Valerie Mosley, CFA was a partner of an $800 billion global investment management firm. Life was good, profits were great. She was highly regarded by her team and the President of the firm, had great investment returns, and clients were pleased with her work. In addition, Valerie was and remains a huge fan and supporter of Wellington Management Company and the colleagues with whom she worked. It would have been very easy for Valerie to continue as a partner and to continue to add basis points to client investment portfolios. However, something inside of her felt as if her calling was broader. She has always been connected with her instincts, and over time, has learned to honor them. She also believes that her epitaph wasn’t meant to read that she was a great investor alone, and that most regret not what they tried and failed but rather what they were never able to try at all. Not wanting to live a life with regrets and instead wanting to create the life she imagined, Valerie created Valmo Ventures with Niaz Karim. Valmo Ventures is focused on creating, collaborating, and investing in companies, assets and efforts that add value to portfolio returns and add value to our society. Valerie has always felt that her calling involved making sure that whatever she did, she make the world a better place, by adding value both to individuals and to companies. 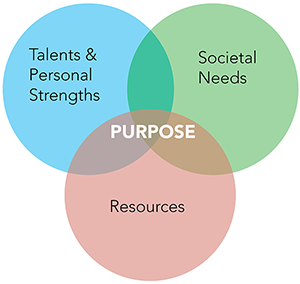 This is grounded in a global perspective and a core belief that if you take your talents, personal strengths and resources, and do a diagram of societal needs, that the overlap is where your purpose lies. To that end, Valmo Ventures was born, considering the hearts and desires of Valerie and Niaz, their unique gifts, and societal needs.